Summary: January ’16 | Imagin&Tonic - VR, AR and game development. Hey! Here we are in our first monthly summary with -almost- everything we’ve done lately, on what are we now and what are we learning. We did new space landscapes with beautiful designs and a new photo camera embebed into the game. The purpose is to create game reminders out of the the game (i.e., keeping photos in the user’s gallery, social networks, etc.). We believe that this can improve the player engagement and help on game viralization. We’ve added a cross-promotion mechanism by which we can promote new games when they’re released. This may help us maintain a stable base of users, improve the initial download for every new game and create brand. We’ve improved monetization with a much better advertising platform and new ways of monetizing (like the “Help Tom” new dialog). All these mechanisms are measured by our analytical platform to draw conclusions about which mechanisms work better. We have created a remote administration panel where we can create cross-promotion campaigns (use our games to promote new releases and track the downloads) without upgrading the already published games. 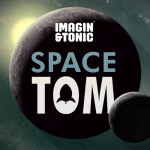 Whenever there is a new Imagin&Tonic game, all the previous games will recommend it to their players. We’re really concerned about intrusive advertising, so we never show it more than once per day. We learned that a single ads provider is not enough to maximize revenue per user. The “Fill Rate” is a ratio that indicates how many requested advertisements are displayed successfully. Sometimes the ads provider has no ads to show for a geographical area and that request remains unfilled, which represents a lose of revenue for us. To minimize this problem, we’ve created a system that integrates with up to 8 different video ads providers. First tests show a fill rate increase from 12% to 100% (there’s always a video to show). With these improvements we hope to not only increase revenue, but also improve the gaming experience, as players are rewarded after watching the video. We also learn that ads revenue is seasonal. Advertisers reduce their spending on online advertising dramatically in January. We’ve heard about Appodeal, where you can check out the weekly eCPM in all countries (eCPM is an indicator of how much is paid per ad shown). To take a quick example, in Germany ads are paid up to x3 times more than in Spain, but half than in US. This is a very valuable information in order to set, for example, in which countries are worth investing in translation or promotion. We need to start learning how to promote our games, paying special attention on metrics derived from our decisions. The goal is to determine our cost of user acquisition, profit per user and, therefore, metrics needed to determine if a game is profitable. We should release STEPS Infinite Arcade, a new game with an unique game mechanic and casual graphics. We reaffirm ourselves by doing original games instead of copying successful titles. 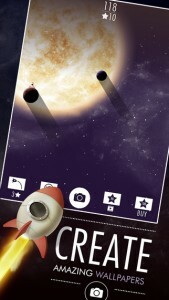 On the technical side, we will update SpaceTom for android with last features added to iOS. We continue to develop new titles, increasing focus on making games that bring together originality, engagement and monetization mechanisms. And, last but not least, we expect to finally receive some funds that, with our own capital, will allow us to finally constitute Imagin & Tonic as company. Appcelerator, creators of Titanium, announced that has been acquired by Axway. Consequences of this in the med-term for developers are still unknown and, despite seems that Axway will maintain the product, we will closely monitor this change to see how you can affect us.